Russia and France have reached a tentative agreement on compensation payable to Moscow as a result of Paris' decision to cancel the delivery of two Mistral helicopter carriers. The cancellation of the Mistral deal reportedly will cost France about $1.3 billion. The agreement still must be signed by both Russian President Vladimir Putin and French President Francois Hollande, according to media reports. 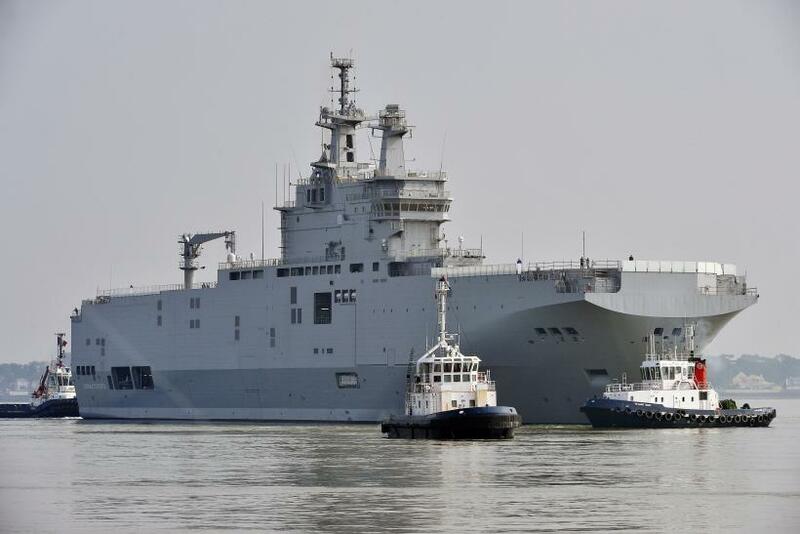 France canceled the delivery of the two Mistral ships in November 2014. Hollande cited Russia's alleged involvement in the continuing crisis in Ukraine, saying the deal could not go through as there had been little progress concerning a ceasefire. Russia annexed Crimea in February 2014, and it purportedly hase provided military support to pro-Russian rebels in eastern Ukraine since them. French Defense Minister Jean-Yves Le Drian met with U.S. Defense Secretary Ash Carter Monday to discuss continuing Franco-American cooperation in conflicts around the world. Meanwhile, Russia's official Sputnik news agency reported that France's cancellation of the Mistral deal in 2014 was likely done at the urging of the U.S. The Mistral deal was struck by Hollande's predecessor, Nicolas Sarkozy, in 2011. Originally, one ship had been scheduled for delivery in 2014 and the other had been set for delivery in 2016. If the Mistrals had been delivered, the deal would have been the first major arms sale by a Western country to Russia since the fall of the Soviet Union in 1991, according to the Moscow Times. Since the cancellation of the deal about eight months ago, Moscow and Paris have been negotiating how much France would owe Russia in compensation. Putin had suggested that this amount would have to pay not only for the costs of the ships but also for the additional costs incurred, such as the training of sailors. The tentative agreement in the area of $1.3 billion would represent a compromise between the parties. France may be able to sell the ships to the U.S. or another NATO ally, although no buyer yet has been identified. Maintenance of the ships could be costing French taxpayers millions of euros a month, leading some to suggest that the cheapest option would be to sink them.